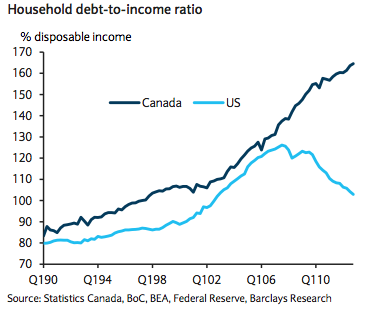 The only people who debate whether or not there is a housing bubble in Canada are the Canadians themselves. In the meantime, the rest of the world has already made their conclusions. 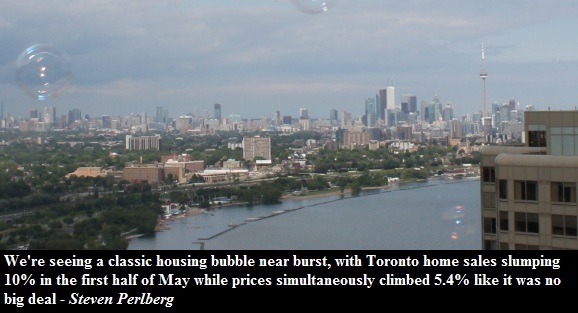 British financial magazine Money Week says: - "there is no question about it - Canadian property is in a bubble." But what would a British financial magazine know about Canadian real estate? They may not know much per se, but they know a thing or two about housing bubbles since they recently experienced a bubble burst of their own. Canadians are now more indebted than ever before. Anyone who says that the future is bright for Canada needs a reality check. We are all now prisoners of the low interest rates because if/when they rise they will do a lot of damage to the people's wallets.